The HowardOnTap Craft Brew Trail is produced by Visit Howard County, Maryland the official destination marketing organization for Howard County, Maryland. Q: Do I get a prize for completing the trail? You absolutely do! You don&apos;t even have to visit all of the stops to get your first prize! Visit four participating trail stops and earn a free HowardOnTap souvenir glass! Visit all participating stops and receive an exclusive HowardOnTap growler! Save a receipts from each visit. Once you&apos;ve reached a prize milestone, stop by the Howard County Welcome Center (8267 Main Street, Ellicott City, MD 21043) to redeem your check-ins/receipts. Q: Can I travel the trail more than once? You absolutely can! Howard County&apos;s craft beverage scene is rapidly growing. The next time you visit there might be even more trail stops to choose from. There are three ways to enter. Participant receives one entry when they complete the HowardOnTap craft beer trail and pick up their prize at the Howard County Welcome Center (8267 Main Street, Ellicott City, MD 21043). NO PURCHASE NECESSARY. Void where prohibited. Open to US residents only unless otherwise stated. Contests begin June 28, 2015 and will run continuously until no prizes remain. Winners will be selected monthly when prizes are available. Winners will be chosen at random from among list of entries. Automated entries, bulk entries or third party entries will be disqualified. Winners will be chosen at random from all valid entries and contacted via email, social media and/or phone. Must be 21 years old or older to claim prizes. No cash value on prizes. Prizes are nontransferable. Prizes shall be claimed within 60 days of notification from the Howard County Welcome Center located at 8267 Main Street, Ellicott City, MD 21043 (410-313-1900). Unclaimed prizes will be forfeited. Winners’ names may be displayed on our website and in social media. Prize odds are 1 per download and 1 per completion of the trail. All prizes are subject to certain rules, restrictions and expiration dates as determined by individual entities providing the prizes. 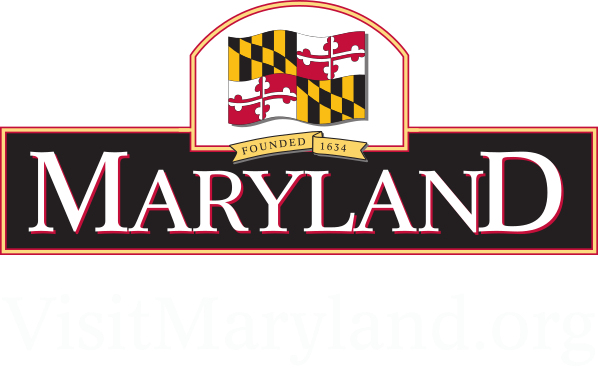 Howard County Tourism & Promotion is compliant with the data protection act. Our policy is such that we will not pass on your details to any third party without your prior consent. Employees and family of employees of Howard County Tourism & Promotion and participating locations are not eligible for prizes. When you create an account, we collect certain information that can be used to identify you, such as your name, email address or birthday (“personally identifiable information” or “PII”). We may also collect information like your gender, date of birth and zip code. If you choose to create a HowardOnTap account via a third-party service such as Twitter or Facebook, you may have to provide us with your username or user ID so that your identity can be authenticated. When the authentication is complete, we’ll be able to access certain information based on your permissions from the third-party service. We don’t receive or store passwords for any accounts on third-party services. The email address you provide may be used to send you information, validate you achievements, respond to inquiries, and/or other requests or questions. Our servers automatically record information about how a person uses HowardOnTap, including IP addresses, operating systems, views or features of HowardOnTap that were used and time spent on them, search terms and other statistics. We use and analyze (and may engage third parties to analyze) this information to customize and improve HowardOnTap. We also use IP addresses to generate aggregate, non-identifying information about how HowardOnTap is used. In some cases we collect and store information about where you are located, such as by converting your IP address into a rough geolocation. We may use location information to improve and personalize HowardOnTap. Occasionally, at our discretion, we may include or offer third party products or services within HowardOnTap. These third party sites have separate and independent privacy policies. We therefore have no responsibility or liability for the content and activities of these linked sites/applications. Nonetheless, we seek to protect the integrity of our site and welcome any feedback about these sites. HowardOnTap is not directed to children and or anyone under 21.